Capturing everyday life with a phone and a selfie stick. 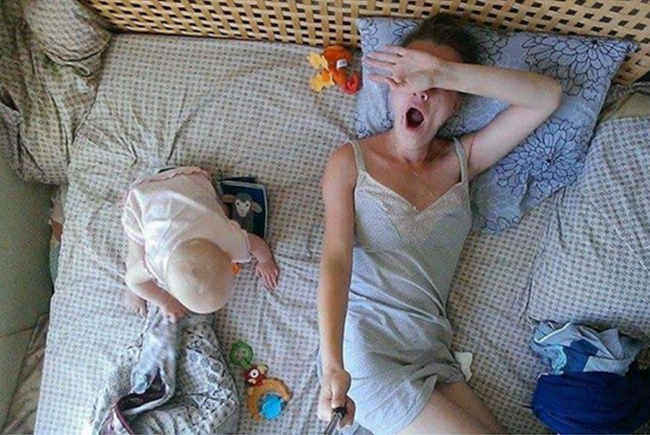 Last week selfies taken by the young mother Yulia Skorobogatova went viral on the Russian internet. Skorobogatova has two daughters and is a freelance photographer. It was hard for her to study photography, work on a new series and combine it with her parental duties. So she decided to combine parenting and photography. Her photo project depicts the life of a mother in Moscow. It does not avoid the banal parts or the difficult moments. Photos show long walks, breastfeeding and fatigue, as well as cooking, sleeping, eating and putting clothes on her infant. The photo project is something of a documentary. It shows someone’s life as it is, even if today looks much the same as yesterday did.